Elliott Abrams discusses his new book, Realism and Democracy: American Foreign Policy after the Arab Spring. Abrams urges that in the Middle East, the United States should support the struggle for freedom—for its own sake and because repression feeds extremism. Islamist extremists have an ideology, which means that policemen and jails alone cannot in the end defeat them. Charting forty years of American human rights policy, Abrams argues that “realism” requires a deep appreciation for the war of ideas and the goal of human freedom. For further reading, please visit the Realism and Democracy homepage. So I’m Gideon Rose, the editor of Foreign Affairs, and I’ll be just doing a brief Q&A with Elliott before setting it up for discussion where you guys can participate as well and discuss back and forth. Elliott is always somebody with strong opinions and strong principles and never lacks for a vibrant discussion in the follow-on session, so we’ll get right to it. Let me start just by saying a few words, though, about why it was a privilege and an honor to be asked to moderate this one. So we’re here to celebrate Elliott as a chochem, as a wise man, as somebody’s who’s going to give us insight. I just want to say a few words about Elliott as a mensch, as a good guy. When Elliott came to the Council, he had a reputation for very strong views and for positions that were not always in synch with the conventional views of the establishment, or of places like the liberal young staff of junior editors often of Foreign Affairs. (Laughter.) We take our editing pretty seriously at FA, and we engage our authors in a fair-minded, open process. And when we have dealt with Elliott, he has been nothing but supreme and superb. ROSE: And there’s an old saying, an Old English saying, no man is a hero to his valet. Well, something similar holds for editors. If you were to ever hear how editors talked with each other about their authors, it would be like Jeeves and his friends, the other gentlemen’s gentlemen at the Junior Ganymede Club discussing their employers and all their kinds of things. That’s how editors generally talk about their authors, though they’re somewhat fond of, but whatever. My young—I remember I entrusted Elliott’s first piece when he wrote for me to a young liberal staffer, and it was on the settlement issue. It was something about the West Bank it was talking about, right? ROSE: And I could see this was—I thought this was going to be a great test, right? Because I knew—I respected both my junior editor and I respected Elliott, so let’s see how this works. And afterwards, first of all, I was amused to hear that there were no sort of eruptions. As the top guy, if there are eruptions, they get brought to you. So the whole process went through without eruptions. Interesting, OK.
And then I said later on, I said, by the way, how did—how did the editing go with Elliott? And he said he was a complete dear. He’s such a great guy, and we had a great discussion. I said do you agree with him? He said, oh, God, no, of course not. (Laughter.) But what a pleasant author, and how wonderful it was to work with him. And I said, OK, that’s pretty damn impressive given the issue, given the views, and given the divergence of them. And I say this, by the way, with full knowledge that Norman Podhoretz is here, who has written about the editing of small magazines and the intrusive—well, the tone of voice in editorial control necessary to make them work. And to have authors who can play into that in a good way, and of course a range of views, is a crucial kind of thing. And so we take our editing seriously, and we look at someone like Elliott as a true and ideal author and part of our community. ROSE: And so that was why, in addition to your brains and genius, your character is what we are pleased by in FA. ROSE: You treat young people, you treat junior people, you treat people who disagree with you with the same respect that you would peers debating, and so forth, and that’s a rare sign of character. ROSE: With that, for those few people here who have not finished the book yet, tell us briefly what it says. ABRAMS: OK, thank you. Thank you all for being here. It’s great. You know, you work three years on a book and then somebody says, in a minute and a half, what—I’ll take a little more. ABRAMS: Yeah, I’ve got five. ROSE: And you’re Jewish, so you’ll take 10. But let’s try and keep it to five. ABRAMS: The beginning of the book, which is called “40 Years of Human Rights Policy,” is really a story of how we came to where we are; that is, how we got through the Cold War, the debates between Nixon and Kissinger on the one hand, and people as varied as Jimmy Carter, Scoop Jackson, Pat Moynihan, Jeane Kirkpatrick on the other. And one of the reasons for telling that story is that there was a security dilemma during the Cold War which was, well, you have all these right-wring dictators, we don’t really like them, but the alternative is communism. And it was John Kennedy who said, well, not—wait a minute—when he started the Alliance for Progress, and he said those who make peaceful evolution impossible make violent revolution inevitable. That’s the kind of insight that Ronald Reagan had when he pushed the generals out in South Korea, or Marcos in the Philippines, or Pinochet in Chile. It was more complicated. That so-called security dilemma was more complicated than just supporting right-wing dictators against communists. Fast forward to where we are now, which is two-thirds of the book. We still have a kind of security dilemma; that is, of course we’re all in favor of human rights and democracy, but, the argument goes, if you open the political aperture in Arab states, you’re going to get Islamist, violent, even jihadi takeovers. So it’s too dangerous to risk, and that’s why we really can’t do anything about democracy in the Arab world. In the book I make the argument that that’s wrong. It’s wrong for a couple of reasons. First of all, it is not inevitable that the Islamists are going to win. They tend to win the first elections because they have a kind of air of holiness and they’re not incorruptible, but they haven’t been corrupted because they haven’t been in power. But they’re organized, often in the mosques. So they win the first election. We’ve seen this in Indonesia, Malaysia, Tunisia, Egypt. But then they lose support, because they have no answers. Islam is not the answer to creating more jobs, for example. So they tend to lose support. And the answer is actually to have an open political system in which competition can take place if you want to defeat them. Second point, actually the dictators are no good at it, because Islamist extremism is a movement, and when people take up arms, they have to be met with arms. But it’s also a—it’s also an idea, or an ideology. And policemen and soldiers can’t defeat an ideology. They can kill people. They can jail people. They can take them out of power for a while. But they’ll never win a debate. They’ll suspend a debate, but they won’t win a debate because they don’t have any ideas to win the debate with. And I think I’ll finish with this. We—the example of this is Turkey, where repeatedly the army removed from power Islamist parties. They weren’t defeated at the polls. They would win and then the army would rescue the country by removing them. So the debate was never actually won by the other non-Islamist secular conservative parties. Well, you know, fast forward to where we are today with the AKP in power. I do at the end of the book try to offer a bunch of suggestions for what do we actually do with human rights policy, with foreign aid policy, with economic aid, with security assistance to try to give those people who were struggling for democracy and human rights in the Arab world a better chance. As Condi Rice once said, we’re not imposing democracy. Democracy doesn’t have to be imposed. Tyranny has to be imposed. But there are better ways to do it and less effective ways to do it, and I end with what I hope are useful suggestions for how to do it better. So that’s the book. ROSE: Elliott, you—you’ve done a lot of things in your career, but I want to focus on two, because there are some interesting bookends. You spent much of the ’80s trying to do the same thing from the other side of the table, or the gun; in other words, backing the insurgents trying to achieve democracy—and not necessarily—not justify—(inaudible)—but backing the people trying to bring democracy and human rights, in many respects, to Central America, and midwife democratic revolutions there particularly. And you’re now dealing with that in the last decade in the Middle East. ROSE: What are your reflections on those two different periods in your experiences in trying to generate or engineer positive, constructive, incremental and peaceful democratic change and human rights progress in those two very different eras and context? ABRAMS: A couple of things. I’d say, one, policy is effective when it starts at the top; that is, this isn’t really about, you know, aid programs. It’s really about the policy of the United States, the policy of the president, secretary of state, in some administrations vice president. That’s what people care about. That’s what foreign governments care about. This is not something you can engineer from the bureaucracy or from the middle levels, from the, you know, deputy assistant secretary of level. It’s got to come from the top. Secondly, I think—and who controls the guns is really critical. I think we have to—we have to remember that. I mean, I would argue that what happened in Cuba ’59, Nicaragua ’79, and Iran ’79 was that the bad guys had the guns and the security forces fell apart. When we were working on Chile, Henry Kissinger, who is not here, said you guys are crazy. You’re going to do it again. I mean, we just did it. We just saw it in Iran. ABRAMS: —’(8)6, ’(8)7, when the Reagan administration was trying to actually push Pinochet out. And our argument was, no, after Pinochet comes the Christian Democrats, because when you push him out as president, he’s actually still the head of the army. There isn’t going to be chaos—the kind of chaos that let Fidel Castro or the Ayatollah Khomeini or the Sandinistas take over. Chaos is the enemy of democracy. And when forced to choose between chaos and almost anything else, people will choose anything else, including the communists. So one of the other lessons I would say is you really do need to make sure the security forces are intact and you avoid—Iraq is another lesson at this—you avoid chaos. ROSE: What are the similarities and differences between communism and Islamism as transnational ideological movements that inspire and—a bunch of coordinated local movements as well? ABRAMS: Well, one difference is that communism was a global theory that could hope to enlist people of all sorts from everywhere. Islamism is not going to get to evangelicals and Jews, Baptists, Mormons. You know, so it has a much more limited possible recruitment base. Secondly, I would say at least until—well, you could—I’m thinking of ISIS but the communists were much better organized. While it’s true that al-Qaida was for at least a while an international organization with a leadership by bin Laden, it’s nothing like what the Bolsheviks did. I mean, they were the masters of this. If you think, you know, ISIS is well-organized—the common term was a lot better organized. So I think these are amateurs in comparison to what we were up against. And thirdly, lastly, the Soviet Union was a superpower. I mean, it would be as if al-Qaida or ISIS conquered Saudi Arabia and Pakistan and had the weapons, the army, the money. But that has not happened. ROSE: So the external support is completely different, obviously, to a certain extent. With regard to the second, with regard to the organization, and structure, and competence, and so forth, what you said about the terrorist groups holds true, but what about something like Hezbollah, which has social services that rival or surpass that of the Lebanese government and is a sort of more functioning statelet, or whatever, in many respects? And there are other sort of local Islamist groups that do well at the social service level, or other kinds of things, and have organizations in the unions and associate. ABRAMS: I think actually Hezbollah is uniquely good at all of that, and it is a movement and a party and an army, and there aren’t too many like that. One of the things I note in the book is if you look at the reputation for effectiveness in delivering social benefits to people—schools, hospitals, medical care, say the Muslim Brotherhood in Egypt—actually, their outreach was tiny. They had a reputation for delivering a lot of social services, but that which the state delivered was much more—much broader. The reputation was because they were doing it, if you will, for free. It was—it was a benefit that they gave you because of solidarity. But when it’s just reputation, that means the number of people actually affected is small, and they can change their minds if they see that you’re no longer doing it. They don’t love the Muslim Brotherhood. So, in Egypt, what happens, the Muslim Brotherhood takes over and it turns out that they govern very, very poorly, and turn the people against them because they haven’t really had the direct experience. Hezbollah is different. But remember, the other thing about Hezbollah, though: It’s kind of hermetically sealed in the Shia community. It is not a Lebanese countrywide organization. It exists where there are Shia and where they have guns. ROSE: —whether it’s a lot of places in Asia, whether it’s the Middle East now, the biggest problem to doing exactly what you want are the local leaders who believe, as you said, hell, the last thing I want is a successful democratic moderate revolution. I’ll just wait for the long-term one and hope that it—you know, hope that it doesn’t happen on my watch. ROSE: I want to make it inevitable. It’s Xi Jinping on a large scale. What Xi is doing in China is trying deliberately to close off the avenues towards democratic or institutional reform to solidify his own power. That happens on a minor scale with a bunch of our own allies who we’re supporting in these places. How do you deal with the friendly—what are your lessons now, at this stage in your life, from decades of dealing with the friendly-tyrant problem? These are basically the people who are SOBs but our SOBs, who often stand in the way of the larger goals that we actually want for American foreign policy. You’ve known many of them and worked with many of them. ROSE: Particularly the SOB-ish ones, right. ABRAMS: —photos signed by—what are the lessons? Justice Holmes once said—it’s a wonderful aphorism—even a dog can distinguish between being tripped over and being kicked. So can kings and dictators. In other words, if they think you’re just trying to get rid of them, they’re going to do everything they can to blunt and stop and prevent what you’re doing. ABRAMS: That was the opposite case. ROSE: —(back ?) Gamal, too, right? ABRAMS: That was the opposite case, where—but there the case was really this is not going to work. You couldn’t say this to him, but you could say it to the people around him. Gamal is not going to make it, and he will bring the whole project down, which turned out to be true; part of what was true. So I think you can actually have a conversation that’s—now, it needs to be true in the sense that one of the problems we’ve had with friends in the Middle East is they’ve been worried a lot about Iran, and their view has been you Americans—this was in the Obama years—you’re not paying any attention to Iran. You’re not helping us. You seem to be trying to get closer to Iran than to us. Therefore, when we say, no, no, we’re trying to help you, they don’t believe it. But on other occasions, other administrations, it was possible to say, look, we’re helping you with your security, but we’re not concerned about this year’s security. We’re concerned about long-term security and stability. You need to have some kind of partnership with the people of this country. They need to have some role. I mean, there’s a word I’d like to throw in here that I think is important, though it’s not in the title—legitimacy. I talk about it a lot in the book, because what happened in those Arab dictatorships that were overthrown was they had none. They had none. They ruled by brute force, whereas in other countries—the monarchies, actually, in the Arab world—there is a fair amount of legitimacy. And so you have an argument to them, we’re not trying to get rid of this monarchy. We’re trying to make sure you’re here in 10 years, in 20 years, in 40 years. That’s going to require you to rethink some of the way you’re acting. ROSE: But how do they react to that when you tell them this? ABRAMS: It depends. I remember saying to a Saudi royal, you know, you don’t—you’re the royal family. You don’t own the country, which was a concept that he immediately rejected. (Laughter.) So you have to be careful with your terminology. ROSE: I’m not going to make any analogies on that one. (Laughs.) OK. There is a patrimonial system. It’s interesting. So, in the broad scope of European history, the radical socialist left of communism and its variants was ultimately beaten back not just by force of arms or by suppression or by triumph of different kind of things, but by the building of thriving polities, led in many cases by social democrats, who emerged from a broadly similar tradition of socialism, but operationalized it in ways consistent with democracy. And so the whole point of social democracy is it’s socialism and it’s democracy together, right. That’s what helped disenfranchised and the extreme left, because you had a moderate left that was viable in addressing many of the same concerns. You talked with the CDU. We know what the extreme communist parallels are. What, in the contemporary Middle East, in the Islamic world, is the social democratic parallel, the moderate popular Islam-related political force that can build a full functional system that coopts much of the force of radical Islam? ROSE: OK, so Ben Ali is what you’re looking and hoping for. Sorry, not Ben Ali. ABRAMS: Well, yes. I mean, Ghannouchi is an authentic Islamic leader who seems to believe in Islamic democracy. But I would note one other thing here. It’s clear that, you know, we turned to Ghannouchi because who else is there? This is a deliberate effort on the part of the dictators. I mean, I remember, during the Mubarak period, there was an effort by a group to form a moderate Muslim party which they wanted to call al-Wasat Party. And you had to register your party. And year after year after year he refused to permit them to register and be a legal party. Why? Because that’s exactly what he feared. He wanted to be able to say to us, to the American government, it’s me or the Brotherhood. The last thing he wanted was this kind of center, because he understood its danger to him. So, yeah, when you look around, there are few of these countries—these parties—and they’re weak. The question is whether they can grow and whether there is anything that we can do to help them grow, or at least to help prevent their being crushed so that they cannot, if you will, organically develop. One of the greatest problems for democracy in the Middle East is, you know, you can’t have liberalism without liberals. You can’t have democracy without democrats. And there are too few. And one of the reasons for it is the deliberate suppression under the dictators, who, again, show that they’re not such great bets for long-term stability in the region. But that means that there are things that we can do to help spread those ideas. We can’t talk about what’s authentic Islam and what isn’t authentic Islam, but we can help those people and parties learn better how to do politics. ROSE: So do you mean things like the NDI and the IRI and things like that? ABRAMS: Yeah, I think there’s—I think there are a few things we can do. There are the NDI, NED, and so forth. ABRAMS: Right. And what the German Party Foundation has been doing for a long time. That is a good thing to do, and we ought to do it. There’s one other thing we can do; I talk about some in the book. You know, we talk about training young leaders. 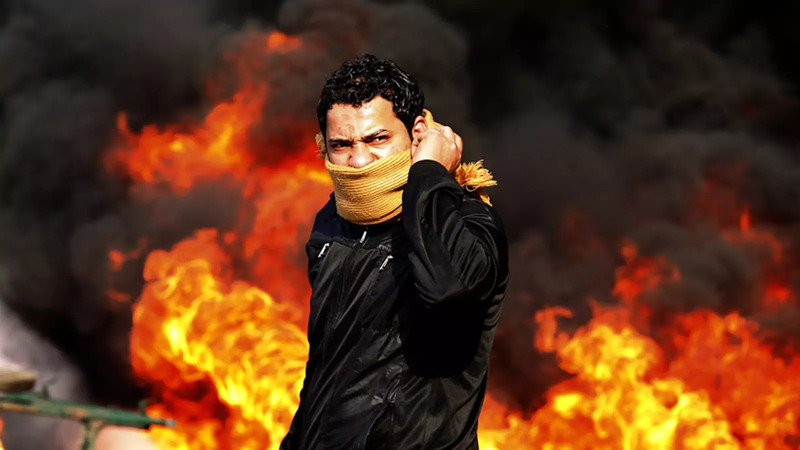 The fact is that there are a lot of young leaders in the Arab world who are struggling for democracy, and many of them are in prison or just out of prison or under tremendous threat from repressive regimes. I’m saying Arab world, which include Iran. We can help them. We can help them directly. Sometimes a family needs support because the mother or father is in prison. Sometimes what you want to say to somebody is, you know what, it’s too hot for you now. You should come out for six months. It’ll give you a chance to relax, to think, to recharge your batteries. Let us help arrange for you to go to England or the United States or someplace free, instead of trying to create or train new people who are now 18 or 19. There are people doing this. And we can help them directly. And I think we should be switching some of the money we do spend on promoting democracy to helping such individuals. They’re on the front line. ROSE: I could spend all evening talking about this, but you guys want to spend the evening talking about this. So at this point we’re going to transition from us to you. So I’d like to invite members to join the conversation; a reminder that this meeting is on the record. Please wait for the microphone and speak directly into it. Please stand, state your name and affiliation, and ask one concise question. We will have a cocktail reception after, but we’ll do Q&A the next 20 minutes or so. Let’s start right over here. Q: Larry Bridwell. I teach in the MBA program at Pace University. I have been interacting with an Iraqi, a secular Iraqi, for 30 years, who was optimistic. And a year ago he said there’s going to be nothing but chaos, because anyone in the Middle East who is middle class has either left or is trying to leave. And he said you can’t have a stable democracy unless you have a strong middle class. What is your reaction? ABRAMS: Well, I think the statement—I would put it differently. You can’t have democracy when there is, again, chaos, the kind of chaos that we, in a certain sense, created in Iraq. But who’s leaving Egypt? I find myself that Copts are leaving, but Sunni Egyptian middle-class people are not, you know, leaving in droves; same thing in other countries. I think what—the true enemy of the middle class is, again, disorder, lawlessness, chaos, no protection of property and property rights. You can’t have a middle class in that situation. I’m a little more optimistic, I guess, than that about the possibility. I think, for example, what the crown prince is doing in Saudi Arabia is dreaming of creating a middle class. Q: Yeah, hello. It’s Raghida Dergham of Beirut Institute and Al Hayat. I just want to put to you a notion that you might not appreciate, but the legacy of betrayal is one—is a legacy that is thought of not only by leaders in the Arab region, but also by the liberals and the democrats and the young people who wanted to go somewhere. Is this going to be harmful for us, or is it harmful already? Because we’re accused of really betraying not only Saddam Hussein, who was our partner in the war on Iraq, not only, you know, Mubarak was our partner for decades, but also even the Muslim Brothers, who feel that they were befriended by President Obama and betrayed. And then you have people across saying Americans don’t trust them. What do you want to do about that? What do you think we should do about that? ABRAMS: Well, I guess I don’t—I don’t agree. ABRAMS: Well, yes, but it’s wrong. That is, it’s unjustified. Mubarak—we didn’t betray—President Obama didn’t—in my opinion did not betray Mubarak. There was a gigantic uprising against Mubarak, and the army decided that he was expendable. I don’t think we betrayed Saddam Hussein. If we did, it was the—I would say I would have been in favor of betraying Saddam Hussein. But I think it’s too broad a charge. It’s true that American foreign policy changes. I think there are various—you know who we’ve betrayed. We’ve betrayed the Kurds over times in the past. And yet they’re pro-American. So I think the—I guess I think the charge is too broad. And I don’t find, when I talk to democracy activists in the region, human-rights activists in the region, I don’t find them saying go away. I find them saying why aren’t you doing more to support us? ROSE: Yes, over here. Hold on one sec. Q: Bruce Knotts, Unitarian Universalist U.N. office. You’re talking about idealism. And realism and idealism, democracy, that’s been pretty much the narrative of the United States probably since the beginning. We now have an administration that basically says we’re not going to meddle in your human-rights affairs. We’re going to—America first. We’re going to look after our interests. President Trump said at the United Nations that all of the other nations should look after their interests. Is there a cost to that kind of policy? ABRAMS: Well, sure. I mean, from my point of view, if it were pursued for four years, and steadily, there’d be a great cost, because I really do think the—in the narrow sense, the United States gains a great deal from the support for democracy, not just from being a free country but from being a supporter of liberty around the world. I think the administration is confused about this. I mean, the president’s Afghanistan speech, for example, he said never again are we going to do nation-building. We’re not invading anybody anymore for nation-building. We never invaded anybody for nation-building. The notion that, you know, Germany, Japan, Afghanistan, and Iraq, this was all done to build democracy is, I think, not right. And then the president went on in the Afghanistan speech to say, now, what we really want the government of Afghanistan to do? We want them to undertake reforms so that they govern better, and then we can leave. Well, come on. Govern better, govern—you know, what are we talking about here? Nation-building. So I think we get an enormous amount of credit around the world as we compete, let us say with Russia or China, from the association of the United States with both liberty and generosity. I mean, we are still benefitting from a very unsorted act, the PEPFAR, the program to stop malaria and AIDS in Africa, which cost a few billion dollars and saved millions of lives. That’s the kind of action that I think brings us endless benefits. So I’m hopeful that the administration will not pursue a policy that basically dismisses the value of the association of the United States with democracy. ROSE: Most of my Jewish neocon friends are more anti-Trump than my liberal friends. Is this going to be—are we witnessing, you know, the return to home? ROSE: OK. Yes, back here. Over there. Yeah, here. One sec. Q: Thank you. Hi. Hagar Chemali of Greenwich Media Strategies. I wanted—I wondered if you could talk a little bit about Syria, and in particular the beginning of the Arab Spring? Assad was called on to step down in August of 2011. And so I’m wondering if you were in your position at the NSC, as you were under Bush, what would you have advised President Obama? And do you think there could have been steps taken or measured pursued that would have allowed for a stable transition to Democracy rather than the chaos you see? ABRAMS: Sure. I mean, had I been there, there would have been peace, and—(laughter)—democracy, generosity. ROSE: He’s here, he’s there, he’s everywhere. ABRAMS: Right. (Laughter.) You know, Obama’s policy on Syria didn’t need me. He just needed to listen to his own administration, and he didn’t. Because first Hillary Clinton then John Kerry and many others in the NSC and elsewhere in the administration opposed the policy as it was being carried out. I mean, obviously the red line was one error. But the failure early on to support the—I’ll put it this way—to declare Assad must go, but then do nothing to support the people—the rebels who were non-jihadi rebels—who were trying to make him go was a foolish and damaging policy. And there were plenty of people in the Obama administration who knew it and said it, privately anyway. You know, the two people who at the kind of second or third level led it—Ambassador Robert Ford, the U.S. ambassador to Syria, Fred Hof, who was the special envoy for Syria—both resigned basically in protest against the policy. And Fred Hof has written repeatedly: I just didn’t believe that the United States would not save one civilian life in Syria. That’s Fed Hof. But we didn’t. And I think that it wouldn’t have mattered what people at the NSC said, because it didn’t matter what the secretaries of state said. The president just had a very strong view, and I think it was the wrong view because I really do think, particularly early on, there was a big uprising, that we could have helped, that could have avoided the charnel house that Syria is now. And had we acted sooner, the opportunity for Iranian and Russian intervention had not yet appeared. ROSE: If you’re interested in hearing ex-Ambassador Robert Ford on Syria, just turn to the next issue of “Foreign Affairs,” in which he discusses the road forward in Syria. ROSE: Along with Stan McChrystal on Afghanistan and Emma Sky on Iraq and a whole bunch of others dealing with American conflicts. Q: Sam Munson, the Octavian Report. I sort of wanted to ask kind of a more 30,000-foot question, which is: Realism as a discipline in foreign policy used to mean a kind of—perhaps in its own imagination and perhaps to some to extent in reality—a Thucydidean almost reckoning with the gross, brute realities of power. I think it’s come to mean something rather different nowadays. And I’m sort of curious to hear your take on that, to hear your take on what realism—what it consists of now and what role you see it, you know, having positively or negatively, and precisely the efforts you’re outlining. ROSE: One man’s—(inaudible)—is another man’s freedom fighter. ABRAMS: Peter Feaver of Duke and Hal Brands of SAIS, of Johns Hopkins, have an article in—had an article in foreign something, which I think I can’t mention. ROSE: Yeah, we prefer to think of it as a liberal international order. (Laughter.) Or a liberal domestic order. ABRAMS: Right. (Laughs.) Feaver and Brands have a wonderful article about it. And what they say, and what I think is quite persuasive, is academic realism today is moving in the direction of isolationism. It is about realistic anything. It isn’t about the nature of man. It isn’t about the nature of interstate conflicts. It’s about getting out of everything and not doing anything. I think there’s a lot of truth to that. One of the reasons I use the word realism here is because I think the so-called realistic view in the Middle East turns out not to be very realistic. That is to say, forget about democracy. Forget about legitimacy. Tyrants are there and we just have to deal with them. I think in the medium and long run, that is not a realistic policy. I’d add one more thing, which is I think one of the great failures of realism—and it certainly fits in this context—it is essentially a theory of international relations. And it doesn’t really grapple with domestic politics in the countries in question. It takes them as black boxes in the Westphalian system. And that’s really just not sophisticated enough. Q: Thank you. Brooke Goldstein from The Lawfare Project. I was wondering if you could talk a little bit about the education system in the Middle East. Because if you look at Saudi Arabia or Egypt or Jordan, you have the same thing, which is in an indoctrination process targeting young children. So what do we do about that? ABRAMS: Well, we have lots of programs that are aimed at improving it. And of course, the question is where—you know, where there’s a will there’s a way. That is, if you get a government that says, look, we need to do a radical fix can you help, boy, can we help. That’s easy. Many governments don’t want to. Now, there have been some changes. I would say Jordanian textbooks are better now than they were 10 or 20 years ago. And just about all the textbooks in the region are better than they were. The problem is persuading, you know, the people in power that they need to do this. You know, I’m very interested in seeing what Saudi textbooks look like over the next decade, say, because if you’re serious about changing the economy, training people to work in the 21st century, then that’s where you’ve got to start. I don’t know that they have made that start. And obviously, we can’t force it on them. All we can do for—particularly for those countries that are aid recipients—Jordan, Egypt—is to try to make money available and, to the extent they want it, advice available. But also to—you know, to push in that direction. It’s something I don’t believe we talk about much at the top level. That is, I don’t think I’ve ever heard a president say: You know, your textbooks are medieval and you need to do something about it. And it might actually have a very big impact because, after all, people in power haven’t seen those textbooks, almost by definition, in 45 years. ROSE: (Chuckles.) Good point. One more, over here. Yes. Q: Hilary Cecil-Jordan, Cecil Associates. When you speak of our doing something, you’re speaking, I assume, of the State Department and the CIA. How—of what great concern is it that the State Department seems a bit underpopulated now? And also, as far as how we respond in the future, could it be a template, what is happening to North Korea between Tillerson and Trump? Well, the “we” is really the U.S. government. So it also means the White House. It also means, when I’m using it, AID and so on. I do think that for the policies I’m talking about—promotion of democracy and human rights—it’s got to start at the top, but—with the president—but obviously it then has to be carried out primarily by the State Department. There is a role for CIA. There is a role for the Defense Department, largely in just supporting that, and not going—you know, not undermining it, not undercutting it. And the weakness of the State Department is serious in two ways. First, the administration may think that it is draining the swamp. In fact, what’s happened when you don’t appoint political appointees is that the career people, whom you—by definition—you don’t like, are acting in all of those positions. So from an ideological point of view, you have not helped yourself. Secondly, you’ve not helped yourself, and if they have no clout they can’t. An acting anything cannot possibly have the clout of someone who is a presidential appointee, confirmed by the Senate, likely to be there for four years. So you’re really weakening the institution. It’s easy to be cynical about the State Department. And there are lots of terrible stories about the State Department. I’ve found when I—and I worked for George Shultz for six and a half years—I found that when you brought in the FSOs and said, look, this is what the president and secretary want to do, how do we do this best, that you created a team. There were very few people who said I don’t—I’m out of sympathy and I want a different job, which is the right thing to do in that case. But when the State Department is this weak, this hugely important element of American foreign policy—not the only element but it’s one of the central elements—cannot perform its functions. I have people at embassies in Washington who come to me and say, you know, what is the administration’s view of this, what is the administration’s view of that? And occasionally—no longer—but initially, you know, I would say, why are you asking me? You know, why don’t you ask people at the State Department? Well, they don’t know—(laughter)—because they’re not really in the loop. And I think—you know, candidly—this is a—this is a gigantic mistake. First time I was confirmed for an assistant secretary position I was confirmed in the middle of April. And that was normal. President comes in January 20th, takes a couple of months to get people in place. Well, it’s October, you know? There are 24 bureaus in the State Department. Twenty-two are led are an acting something or other. ABRAMS: On that happy note. ABRAMS: Actually, there is a—there’s a longer discussion of Hamas and Gaza in my previous book, “Tested by Zion.” There’s a shorter discussion here. And it’s a very important question. What do you do about a terrorist group that wants to engage in politics? The answer we came up with then, and in that case was the U.N., the U.S., the quartet, was, well, you let them run. And of course, they’re not going to win. And then they won. And when they won—(laughter)—we said, OK, but you can’t actually govern until you lay down your arms. The answer—and there were people, by the way—Ken Wollack, by the way, from the National Democratic Institute is an example, Tzipi Livni—who said not only is this wrong in the case of Hamas, it’s wrong as a precedent, for example, for Kosovo, and many other places, where there are armed groups. They should be told—and this is the mistake we made—they should be told: We’re happy to have you participate, if you will play by the rules of this electoral game, which requires, first of all, that you disarm. Because you can’t do ballots and bullets, and you will be competing unfairly with people who have only ballots. That was a mistake we made. And it is a mistake that should not be repeated. ROSE: On that note, have at Elliott in the Q&A discussion. Thank you, Elliott, for a book. Thank you for a good talk.